Police and firefighters pulled a man from the North Sea today – after his friend got into trouble trying to save him. A pensioner who fell ill in a remote area of Scotland was rescued after his distress signal was picked up in the US. A rescue operation was launched after a man was injured falling from a cliff on the Angus coast. A Broughty Ferry woman is pulling out all the stops to fund a life-saving operation for an abandoned street dog from Romania. A discarded cigarette may have caused a fire from which seven people were rescued at a historic tenement block. An unconscious man was pulled from the River Tay in a dramatic rescue operation. 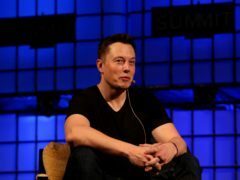 Billionaire Elon Musk has apologised to a British expat who helped with the rescue of 12 schoolboys trapped in a cave in Thailand after calling him “pedo guy”. 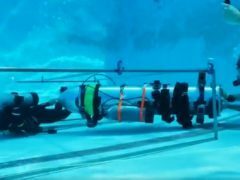 Elon Musk has shared a series of videos of his SpaceX team testing a mini-submarine that he says could be used to rescue the young football team trapped in a cave in Thailand.